I just want to say sorry to my people that are still in terribly cold temperatures. We had a really mild winter and spring has come early in the Bay. We've been enjoying 70 degree days. I'm not sure what this means for the summer, but as of now I am extremely happy. I'm taking full advantage of an early spring to usher in the pink color trend for this year with a Foxcroft button up blouse. Wearing the color instantly brightens up your mood, your day, and I promise people will give you compliments all day. It's just such an attracting color. Now to the fun part, Foxcroft will be giving away 3 of their fabulous blouses to one single winner. Enter at the Rafflecopter widget at the bottom of the post. Good Luck! 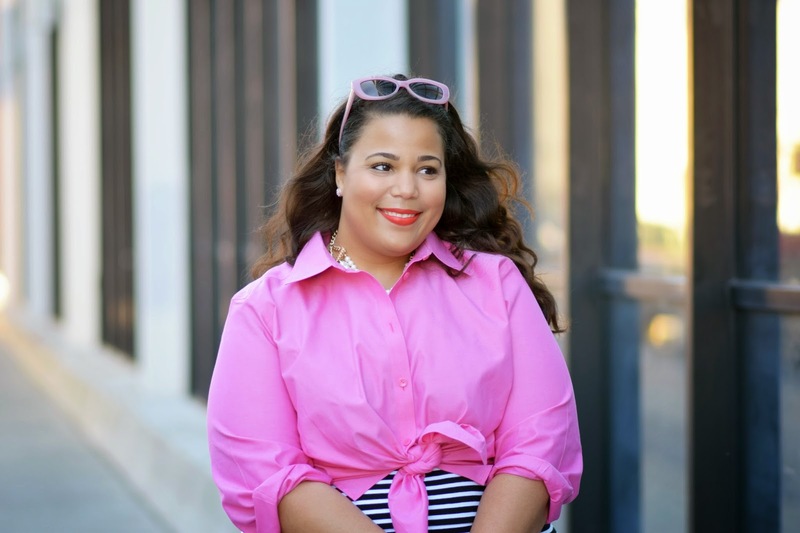 Style Notes: I've been wearing Foxcroft blouses for over a year now (see post here) and I love them. When it comes to getting a great fit out of a button up blouse, they are it. Both the arms and bust areas are roomy. 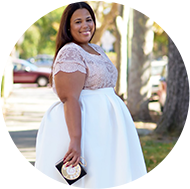 This blouse doesn't have stretch and that speaks to the amazing fit. I got this blouse is a size 22. I probably could have sized down one. The tops run true to size. Shirts are crisp and the collars are stiff, which is a requirement for me to buy this type of shirt. Collars are so important in the look of the overall shirt. Lazy collars can make the shirt look sloppy, so I like that these are extremely stiff. You can flip up or wear down. This is a part of a series of posts sponsored by Foxcroft, all opinions and style are my own.